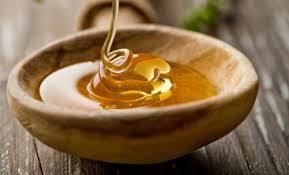 In many cultures honey is associated with the concept of truth. Here honey helps to reveal your true self. It cleanses and protects the skin, opening pores and drawing moisture into them. Baking soda then performs a gentle scrub cleansing, lifting away dirt, sweat, pollution, and the daily collective that builds up on the skin, restoring the purity underneath.. Here is what you will need. In a saucepan, combine all ingredients except honey and stir over low heat, bringing mixture to a simmer. Remove from heat and cool, still stirring, adding honey gradually. Product will separate; stir before using. Apply to skin as a liquid soap, gently scrubbing in a circular motion. Rinse with warm water, and follow with a cool water rinse. Mixture may be microwaved until slightly warm before use. This makes 1 cup. Cover and refrigerate immediately; discard after 2 days…. Thought I would give y’all one of my favorite body cleansers!! See y’all next week for another regular blog post, tell me if y’all like these every now and then and I will add more!!! Love ya!! Previous postIntroducing Color to your Makeup Look!!! Next postEyeliner 101: Everything You Need To Know!! !